The Common Grackle is a favorite of mine – strong and elegant – a smart mischief maker. Nothing common about them their black iridescent coloring reminds me of a black opal. I would love to entertain them in my garden. I have no Grackles in my garden but many Mockingbirds and Cardinals. They are coming for the ripe figs! Painted with Gouache and watercolor on smooth Fabriano paper. 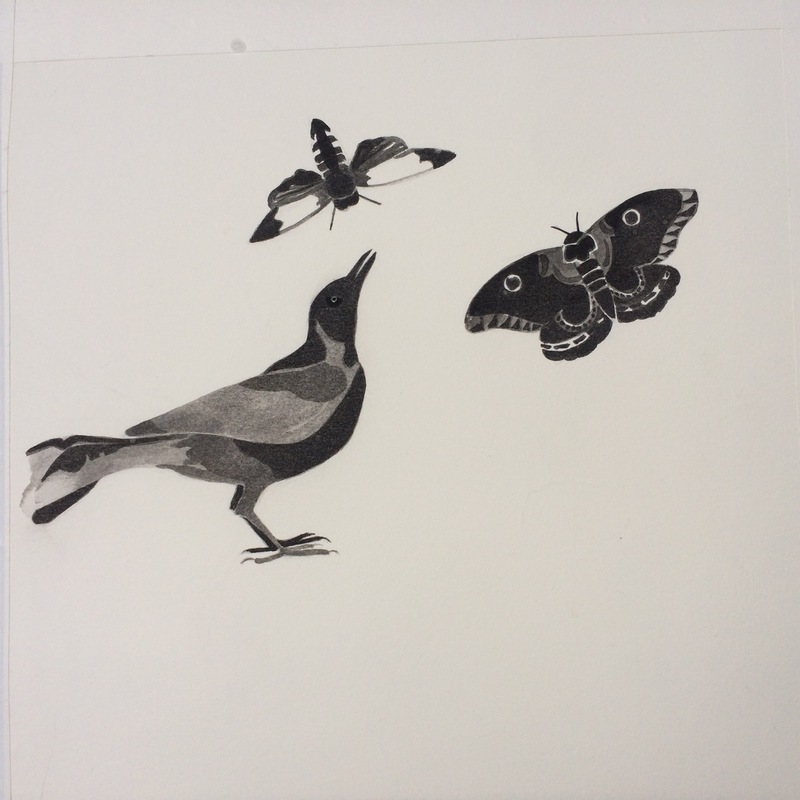 This entry was posted in Art, bird, Birds, Fine Art, Uncategorized and tagged Art, birds, black and white, common Grackle, Dawn Henning, gouache, moths, ornithology, Still life, Watercolor. Bookmark the permalink. Love this. Very playful 🙂 Your cousin. Thanks for this Terri, So sorry to have missed it.